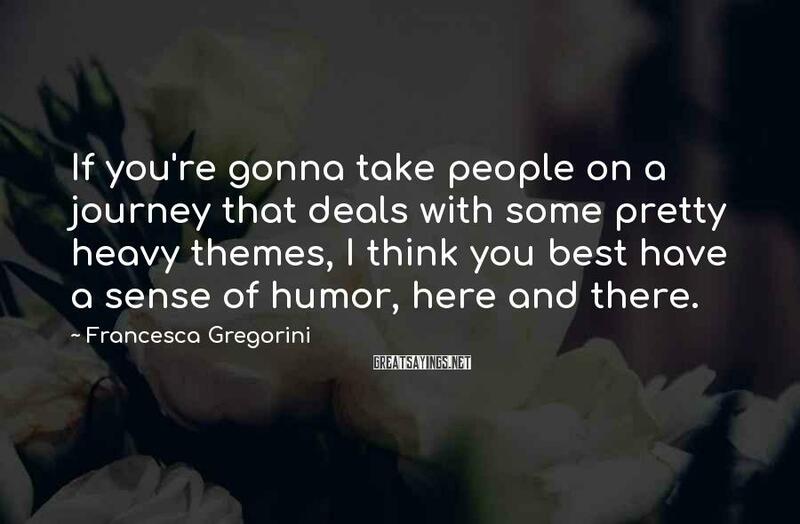 12 Francesca Gregorini Famous Sayings, Quotes and Quotation. Casting is very instinctual. I really like to meet people. 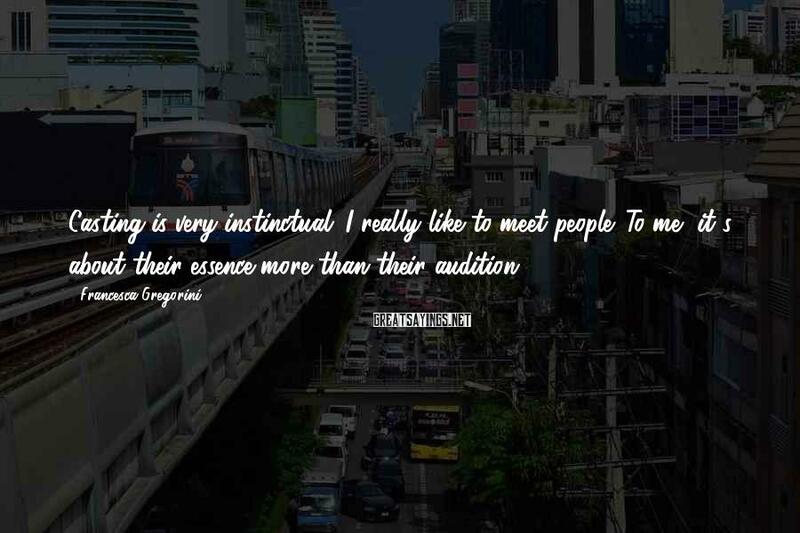 To me, it's about their essence more than their audition. It takes forever to make a film. 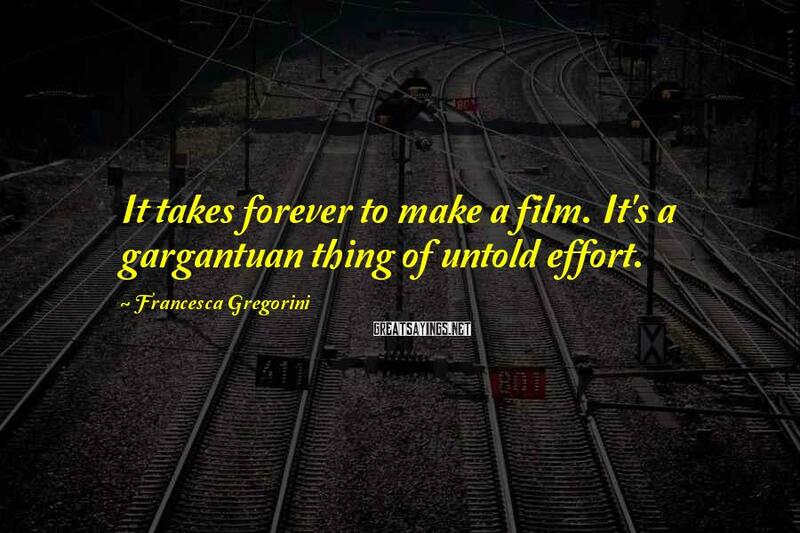 It's a gargantuan thing of untold effort. I'm very jealous of actors that swoop in for 20 days, and then swoop back out. 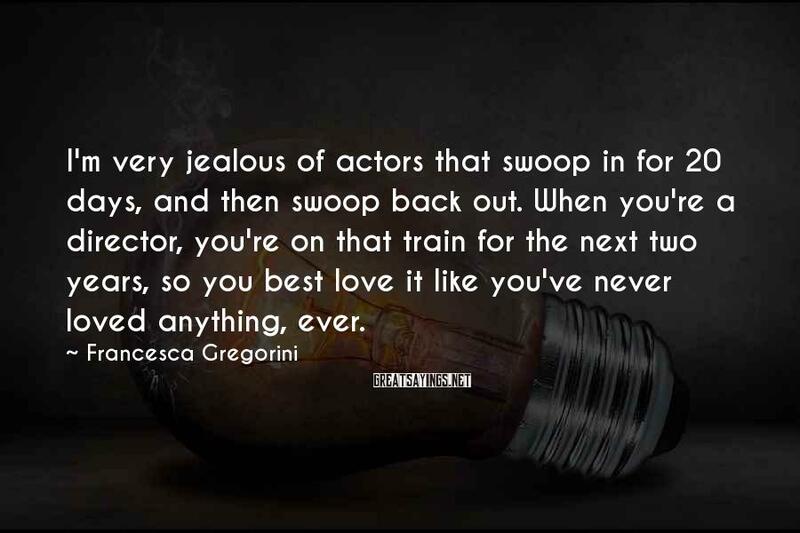 When you're a director, you're on that train for the next two years, so you best love it like you've never loved anything, ever. 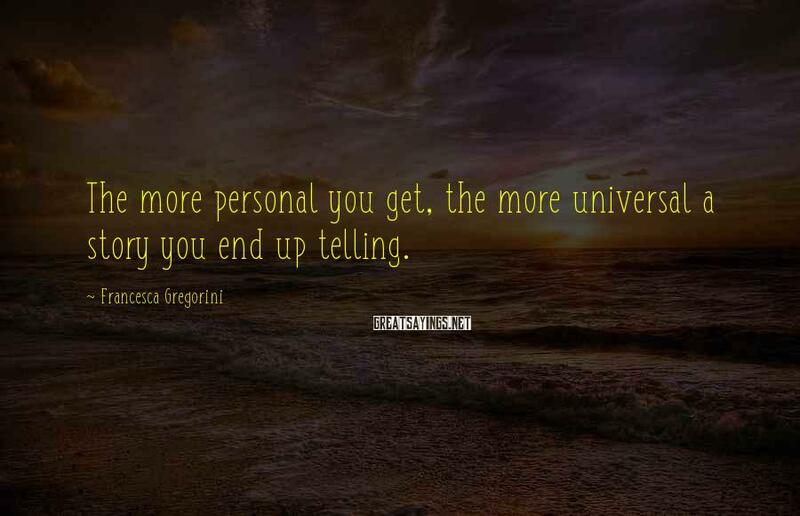 The more personal you get, the more universal a story you end up telling. 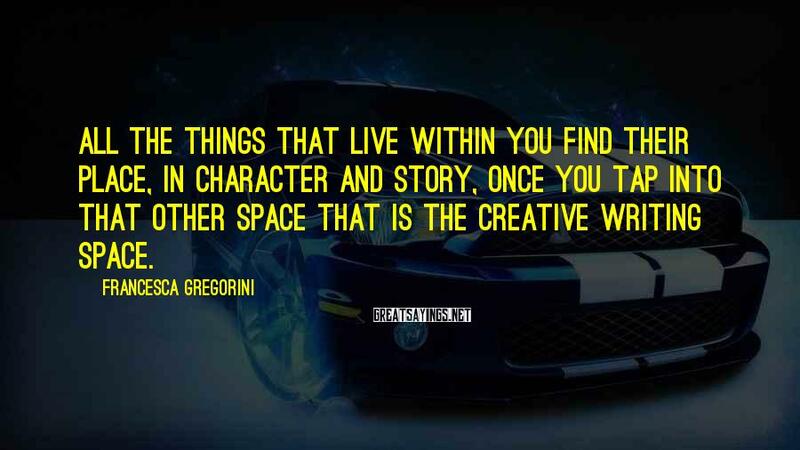 All the things that live within you find their place, in character and story, once you tap into that other space that is the creative writing space. 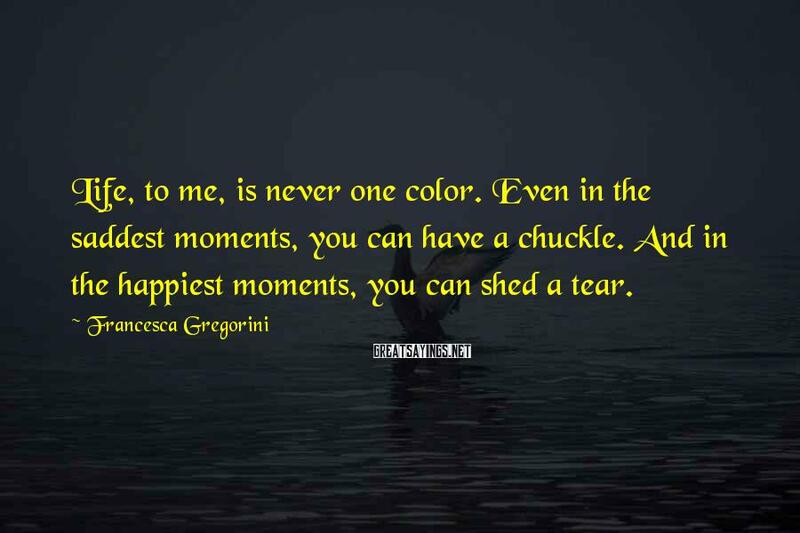 Life, to me, is never one color. Even in the saddest moments, you can have a chuckle. And in the happiest moments, you can shed a tear. 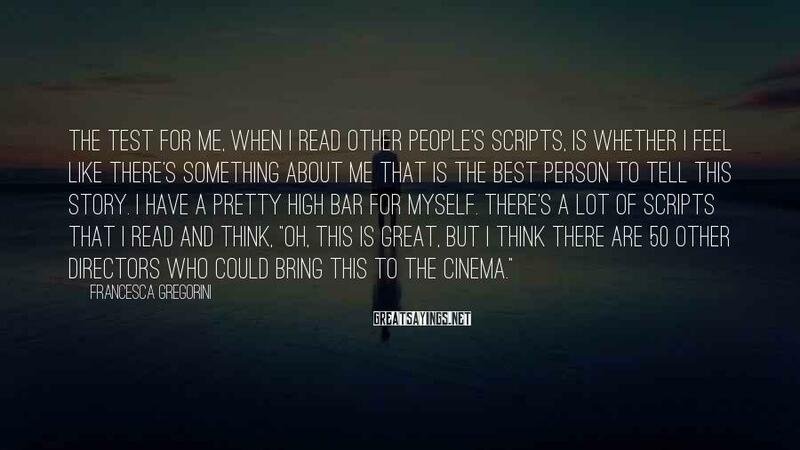 The test for me, when I read other people's scripts, is whether I feel like there's something about me that is the best person to tell this story. I have a pretty high bar for myself. There's a lot of scripts that I read and think, "Oh, this is great, but I think there are 50 other directors who could bring this to the cinema." 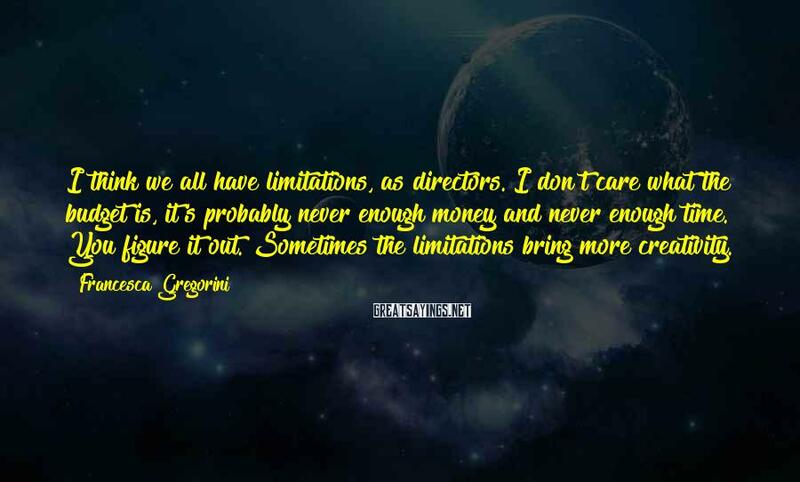 I think we all have limitations, as directors. I don't care what the budget is, it's probably never enough money and never enough time. You figure it out. Sometimes the limitations bring more creativity. If you're gonna take people on a journey that deals with some pretty heavy themes, I think you best have a sense of humor, here and there. 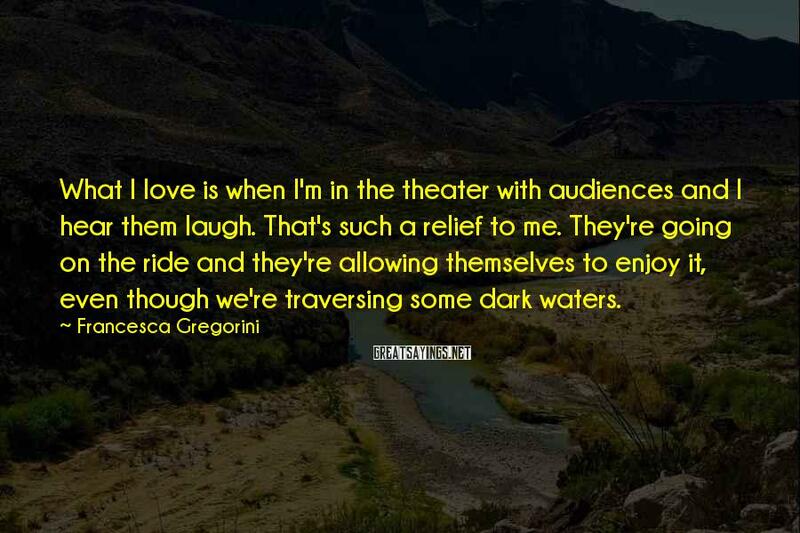 What I love is when I'm in the theater with audiences and I hear them laugh. That's such a relief to me. They're going on the ride and they're allowing themselves to enjoy it, even though we're traversing some dark waters. 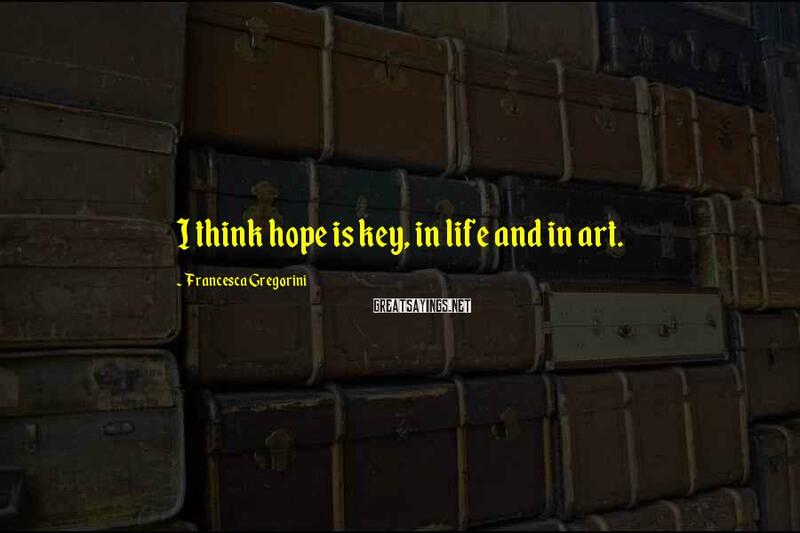 I think hope is key, in life and in art. 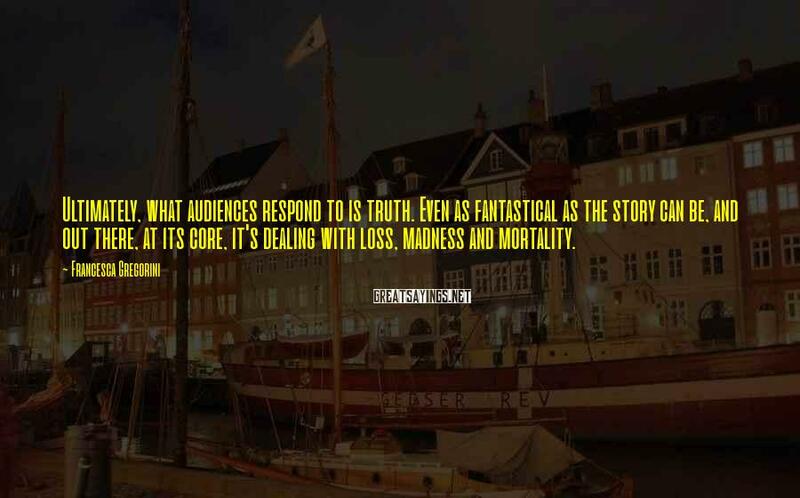 Ultimately, what audiences respond to is truth. Even as fantastical as the story can be, and out there, at its core, it's dealing with loss, madness and mortality.